You might need just a moment to think about where you’ve seen Wendie Malick before, but if you can’t figure it out after a moment then you might not have been watching a lot of movies or TV shows lately. She’s been featured very prominently in film and TV and it’s kind of hard to have not seen her somewhere. But given the picture above it might be understandable since in a lot of shows and movies she’s kind of dolled up and looks ready to hit the town. In this picture she looks a little more natural and actually quite nice, kind of a switch really from most of her roles. But Wendie is definitely one of those folks that in movies and TV shows can portray her character right down to the wire and make you believe that she knows exactly what she’s doing while she’s in character. 10. She’s a very tall woman. Yes I have said this about a few women but standing at 5’10” is kind of tall for a woman, the only other mark to hit after this to be equally impressive would be six feet, and she probably hits that in heels pretty easily. 9. She has a very smooth and seductive voice. One has to wonder if that’s her normal way of talking or if she’s cultivated it after so long and only uses it when in character. The quality of her voice is just extremely smooth and very alluring, which has been noted in many roles she’s played. 8. She’s very prevalent in comedy. Wendie is a very funny lady and that’s been proven many times over as she’s starred in shows and movies where she’s either been required to be funny or has been able to put a bit of comedy in with the drama or vice versa. 7. She and her husband have built homes in Mexico for the poor. This is something that just goes above and beyond when it comes to any celebrity since it shows that they have character, heart, and a willingness to help their fellow human beings in a way that is not always expected but is no doubt appreciated. 6. She auditioned for the role of Diane on Cheers. After so long it’s kind of hard to really say whether or not she would have been a better choice or if Shelley Long was who the show needed at that time. Maybe she would have been better off as Rebecca, but that means she would have had to beat out Kirstie Alley. 5. She was a model at one point. This isn’t hard to believe at all since she’s got the poise, the look, and the fashion sense for it. This did seem like something that might have been a way to get into acting however as she’s been in front of the camera now for a while. 4. She was in Just Shoot Me!. Nina was kind of an egotistical woman but she was still pretty funny since she was so easy to laugh with and at. What was really amusing was that she was a fashion editor at a fashion magazine. Think about it, former model, fashion magazine, it is pretty funny if you give it a chance. 3. She supports the Humane Society of the United States. Everyone’s got a cause to pull for in this world and Wendie has a couple of them it would seem. This is impressive since it shows that her characters on the screen, some of them at least, are far and away nothing like her normal self. To think that she’s such a warm-hearted person in real life is great. 2. She was in Waiting. If you want to know how truly funny she can be watch this movie. She and Ryan Reynolds going back and forth as mother and son is just classic and more to the point it’s hard to imagine that they could have done this in one take since the laughter would have had to be contagious the moment someone cracked a smile. This entire movie was wrong on so many levels but that was essentially what made it so great. 1. She was in Alvin and the Chipmunks: The Squeakquel. So sticking to the whole idea of film and unreality of it, she did manage to put in a great performance in this film since she had a fairly prominent role once she was introduced and she did get to spend a good deal of time on the set. To find out she was a Chipmunk fan however was kind of funny and kind of, well, odd. Yes it was just for the movie obviously. 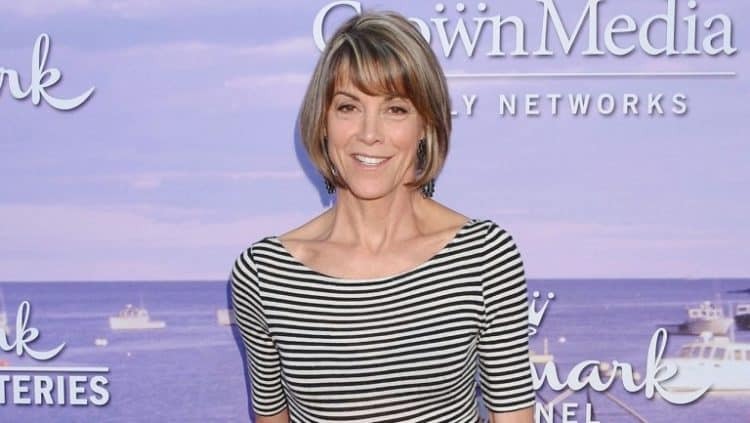 Wendie Malick is a funny and very classy lady that obviously has a lot of character.